A total of 11,570.9 megawatts worth of wind turbine orders were announced through the first half of 2017, a nearly 2 gigawatt decline on the same time a year ago and over 3 gigawatts on the second half of 2016, and was led once again by Vestas. Navigant Research published its Wind Turbine Order Tracker 4Q17 report this week, detailing publicly announced wind turbine orders from throughout the first half of 2017. The important part of this description is “publicly announced,” and as such does not represent the total amount of capacity, with Chinese wind turbine OEMs failing to make public their orders — orders which are almost always restricted to China, the world’s leading wind energy market. As such, for the first half of 2017 a total of 11,570.9 MW (megawatts) worth of wind turbines were announced. This is well down on the 14,743.9 MW of orders in 2H 2016 and 13,477.6 MW in 1H 2016. 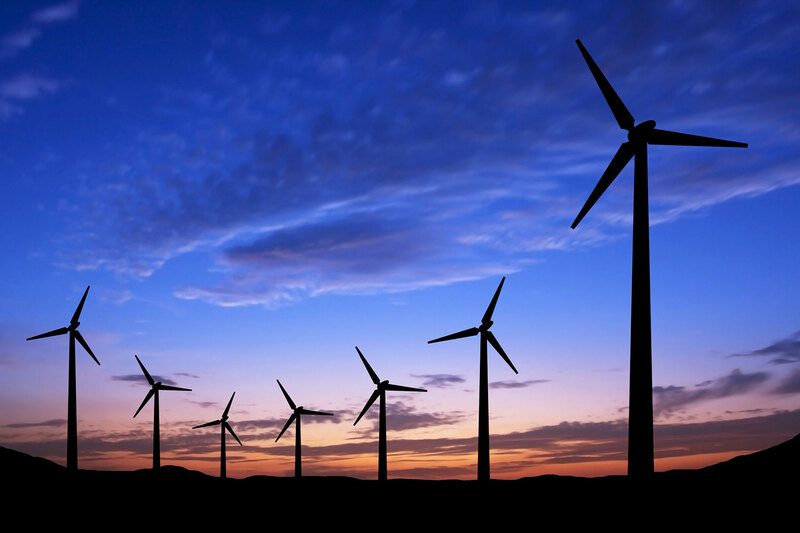 According to Navigant, “There have been several shake-ups in the wind industry over the last year.” This includes big moves like Nordex acquiring Acciona in the spring of 2016, and the big merger between Siemens and Gamesa which resulted in the newly-formed Siemens Gamesa Renewable Energy. However, Navigant is unwilling to directly trace the drop in wind turbine orders back to these transactions but instead looks to “a major change in the Indian wind industry” as being partly to blame for the significant decline. Specifically, India’s shift from a feed-in tariff system to a competitive bidding process resulted in significant uncertainty in the country’s renewable energy industry and is partly responsible for its drop of nearly 2 GW (gigawatts) in wind turbine orders for the Indian market. 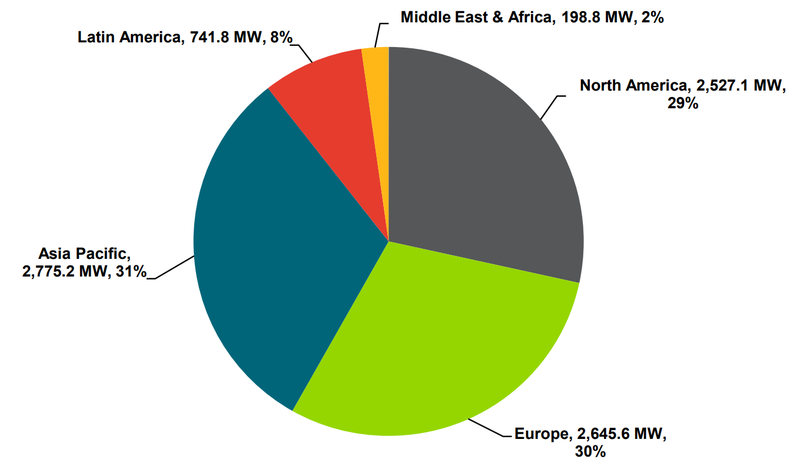 Overall, the Asia Pacific region led all other regions in terms of wind turbine orders with 2,775.2 MW, or 31% signed throughout the first half of 2017, followed by Europe with 30% and North America with 29% — however, the United States accounted for all North American capacity, with Canada failing to announce any orders. In terms of OEMs, Vestas again led all turbine vendors with 4,265.9 MW worth of turbine orders between the first six months of the year, a drop of (again) over 2 GW from the second half of 2016. General Electric (GE) jumped into second spot with 2,928.1 MW thanks to a pair of massive contracts in Spain and Vietnam, followed by Siemens Gamesa Renewable Energy in third with 1,632 MW.